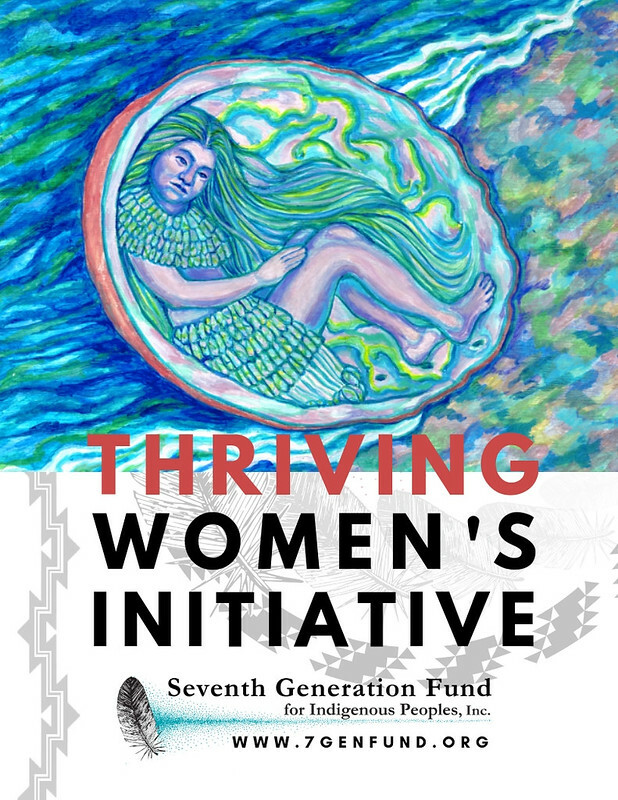 Now available to order: Seventh Generation Fund for Indigenous Peoples' newest publication, the Thriving Women's Initiative! By ordering copies of this Thriving Women's Initiative publication, you help support and amplify the work of the Initiative: Native women-led, community-generated responses to health, healing, family and community wellness, and reclaiming a world without violence against Native women and girls. In the booklet are contributions from Indigenous Peoples across origins and disciplines; from health professionals, to community leaders, to educators and artists. Such contributors engage with topics embodied in the work of the Initiative, including traditional birthkeeping systems, grassroots advocacy, and strategies to address gender oppression. The cover features Lyn Risling's "Abalone Woman," and the booklet begins with this local Wiyot/Yurok story, as told by the artist and culture bearer herself. Enjoy your copy by ordering today.